One of the projects I worked on over the summer was updating the Together for Learning (T4L) website. Conceived as a living document, the website sustains the influence, usefulness and currency of Ontario’s guideline document, Together for Learning: School Libraries and the Emergence of the Learning Commons (OSLA 2010). 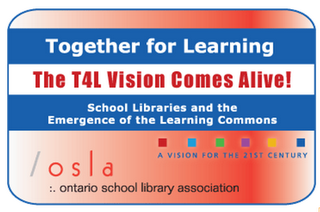 The website is a treasure trove of ideas for implementing the T4L vision. A recent server upgrade and the vagaries of the web had killed many links and menus. The summer work has fixed this situation and restored the website’s navigation. Some new content was added, including some very useful ideas and links on the Advocacy page. As you start the school year, you may find these particularly useful. In this vein, I would also like to point out the Supporting Principals page, which includes a web-based and downloadable chart linking T4L collaborative leadership strategies with the Ontario Ministry of Education’s Leadership Framework for principals. Making these connections to what the learning commons approach has to offer in terms of achieving leadership expectations in the school may be useful in initiating the conversation with your principal. We have also made some explicit links between Together for Learning and TALCO’s Digital Citizenship Project, with instructional ideas that may help students and the whole school community to developing a thinking approach to digital citizenship. 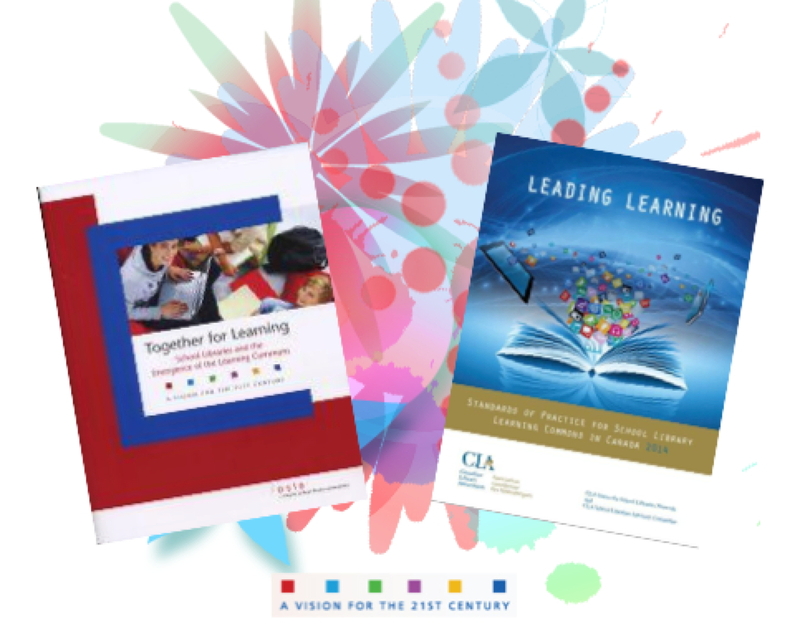 Leading Learning: Standards of Practice for School Library Learning Commons in Canada was published by the Canadian Library Association in 2014. It is a remarkable document, framing a path for program improvement, measurement and professional learning for all schools. Leading Learning measures our success in terms of impact on learning. This makes it the perfect guide for moving forward with a practical, strategic plan for implementing Together for Learning. This summer’s update to the T4L website helps you to make these connections. Each page of the Implementation section now suggests the best match to specific Leading Learning standards to help you realize meaningful program growth. I am pleased to let you know that this is just the beginning of another phase of development for the Together for Learning website. I will be working with a task group from the Ontario School Library Association council to develop more content over the next few months. I am particularly enthused about our plans to update and incorporate ideas and resources from OSLA’s earlier Evidence-Based Practice Toolkit. It is my hope that this particular task will enrich our understanding of program assessment to inform practice. This entry was posted in Leading Learning, Together for Learning and tagged advocacy, digital citizenship, evidence-based practice, Leading Learning, Together for Learning. Bookmark the permalink.